Lake Jackson Intermediate has a long and storied history. Many native residents can still to this day sing the LJI fight song, "On, Lake Jackson! ", which was composed by the very first LJI band director, Mr. Grant Scoggins. Our band hall is named in his honor. 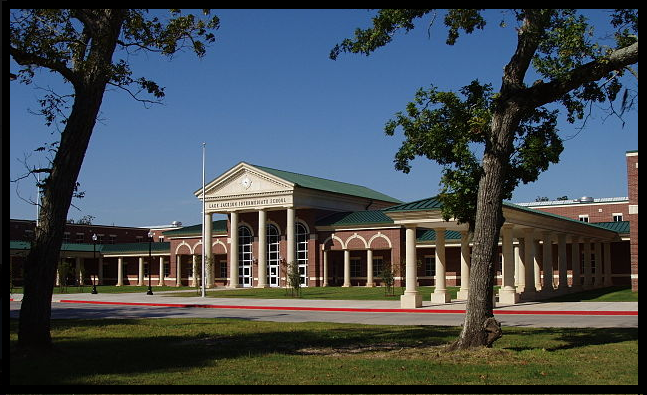 Since 1947, Lake Jackson Intermediate School has been educating students throughout the Greater Brazosport Area. Many of our life-long Panther graduates have gone on to great leadership roles throughout the region and throughout the country. In 2005, a brand new campus was constructed continuing the tradition of excellence established by previous generations. LJI currently serves nearly nine-hundred students in grades seven and eight. We look forward to many more years of service to the Brazosport community! The faculty and staff are dedicated and committed to ensuring that LJI continues to experience high student achievement and that ALL students are successful! We will be focused on “Engaging Students for 21st-Century Success”! Through sharing a common mission, building positive relationships, and focusing on instruction, we are confident that we will move forward in preparing our students for success in high school and the 21st-Century. Additionally, students have a multitude of co-curricular, extra-curricular, clubs, and organizations to choose from that enhance their learning and better connect them to school and the community. We believe in providing a safe and structured learning environment and will continue to stress the importance of our Positive Behavioral Interventions and Supports, promote anti-bullying, and incorporate the Character Counts® education program throughout the school year.